Closed! Thank you to Jenn with Ruth Realty out of Seattle for working with her clients in getting them into their brand new home in East Wenatchee. A big shout out to Jessica, Arianna, and the whole Crew with Clayton Homes of Wenatchee for introducing this move in ready Energy Star home to NCW, over 1500+ sq. ft of modern country design on 2+ acres that sold for $319K. Thank you to Travis Knoop Photography, LLC and Nicolas Gerlach for their photography work, and to the group here at AGENT509 for getting this home to closing. 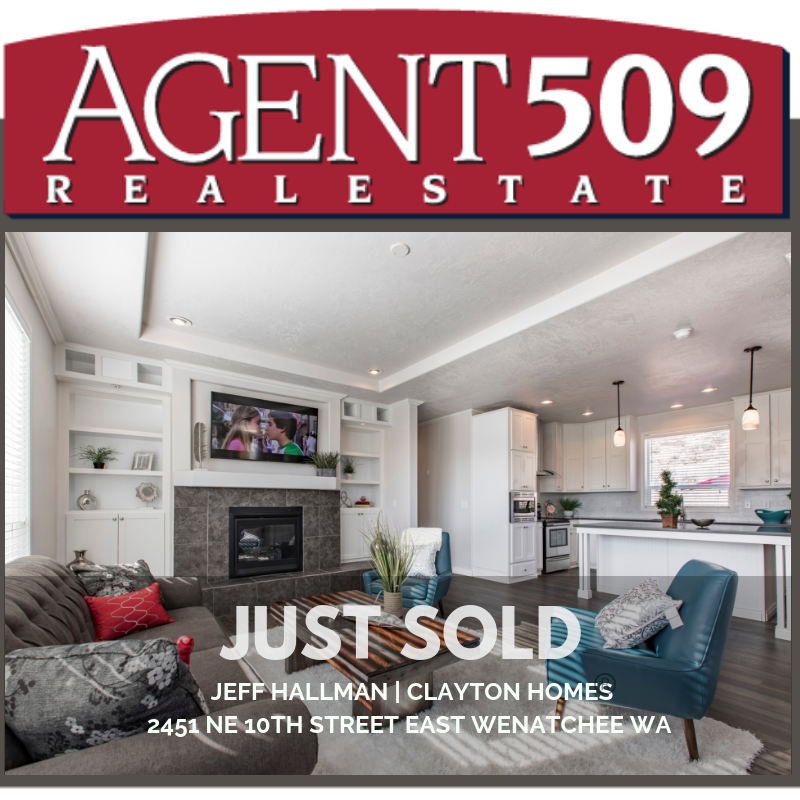 If you're curious or interested in seeing what a new home from Clayton Homes of Wenatchee has for floor plans and prices...contact us at 509.315.3630 and let's get started!